SEATTLE, WA—Fantagraphics is proud to announce the complete collection of the provocative Real Deal Comix. The deluxe 176-page hardcover will be released in May 2016. 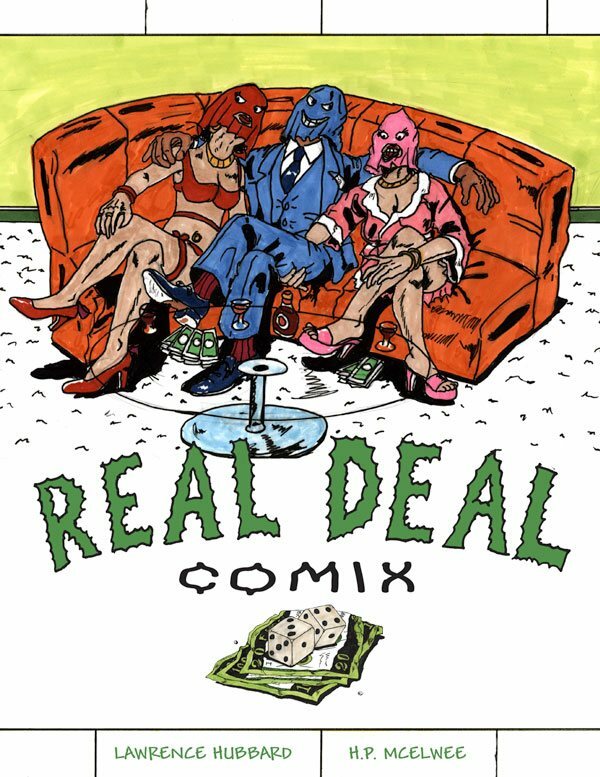 A vital collection of sociopolitical comics history, Real Deal Comix was inspired by a shared frustration with racial tensions in south central Los Angeles. Creators Lawrence Hubbard (a.k.a. RawDog) and H.P. McElwee (a.k.a. R.D. Bone) created Real Deal Comix in their spare time as an incendiary yet satirical response to the brutality and inequality witnessed firsthand in their community. Dubbing the genre “Urban Chaos,” Hubbard and McElwee tell stories of inner city lives on the precipice, where everyday tasks like filling up a gas tank requires stand-or-back-down survival skills. With stories depicting life in the hood, Real Deal blends melodrama, Blaxploitation, satire, and legitimate howling rage. 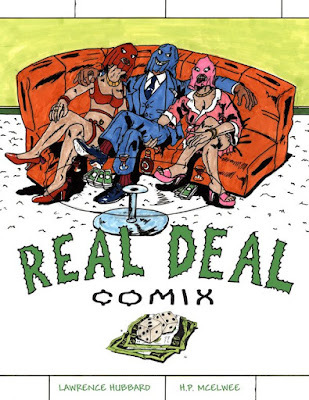 Self-published sporadically from 1989 to the present and primarily sold at the annual Comic-Con International in San Diego, Real Deal has achieved cult status over the years (and even inspired a line of Stüssy T-shirts), especially in California’s underground comix scene. "A Real Deal collection has been a dream of mine for quite some time, and I'm thrilled to work with Fantagraphics to make this happen!” says Real Deal creator Lawrence “Rawdog” Hubbard, who continues to create new Real Deal stories in the wake of co-creator H.P. McElwee’s untimely passing in 1998 from a heart attack. Hubbard added, “And always remember the Real Deal motto: 'MORE RAGE PER PAGE, MORE SLAUGHTER FOR YOUR DOLLAR!'"